It is very important that you consult the size charts before purchasing. Over the last hundred or so years we have produced many identical styles that have totally different sizing. So if you have a dressing gown that looks like the one you want to buy, please be aware that the sizing may be totally different. 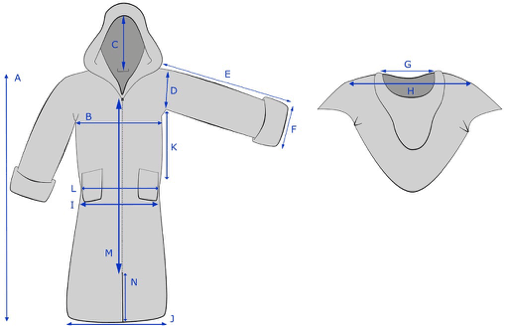 Our dressing gowns come in a range of sizes from XS to 3XL so you should be able to find one to fit you wonderfully. 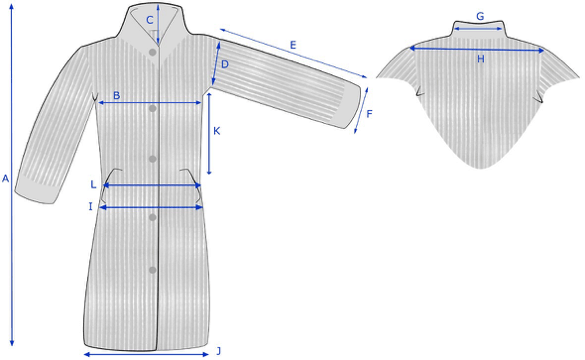 Each gown has it's sizing information below it's image on the product page. 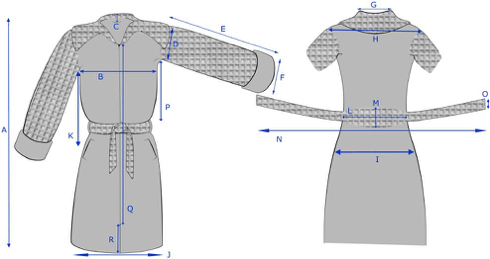 The size chart has a diagram of the gown with multiple measurement points, each with a corresponding letter. Find the letter you want to know the measurement of, on the chart and it will give you the measurements in each size. 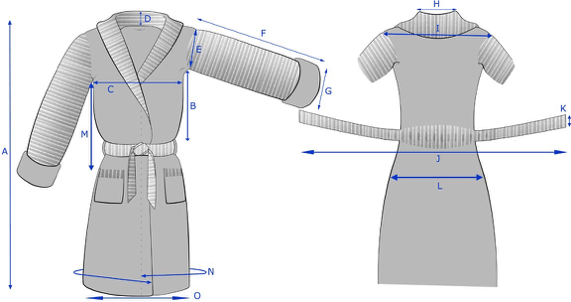 On the chest measurement if the measurements points go around the gown, then it is a measurement around the gown, If it goes straight across then it is measurement for the chest straight across. All the measurements are in centimetres. Because there are quite a few measurements, you have to click to say you've checked your measurements before you can click on the "Add to cart" button so it's worth checking the charts! For your convenience, the charts are all here too, so you can look at them all in one place.